"The medical use of marijuana has saved my colon and my quality of life." - Bruce Buckner, Crohn’s disease patient. All Crohn's disease sufferers know that their disease is debilitating; but some are not aware that it is life-threatening and if this disease is treated traditionally with steroids and opiates, major surgery is likely to be required, later if not sooner. Enter Medical Cannabis; the fantastic news is that cannabis-using Crohn's patients report significant relief - or complete remission - of their symptoms. They able to reduce the use of immunosuppressive medications which have limited effectiveness and feature nasty side effects.The overall body of medical evidence is now indisputable, cannabis’ active ingredients - the cannabinoids including THC, CBD and others interact with receptors on nerve cells, like keys fitting into a lock in the brain, nervous system and gut. Inflammatory Bowel Disease (IBD) is a set of conditions that feature chronic / recurring immune response with inflammation of the gastrointestinal tract and especially the large intestine. The most common forms are ulcerative colitis and Crohn’s disease. Ulcerative colitis is a disease of the bowel (colon). The first symptom of ulcerative colitis is a progressive loosening of the stool. The stool is often bloody and maybe be accompanied by cramping abdominal pain, minor fever and severe urgency to empty the colon, anytime and anywhere. Loss of appetite and subsequent weight loss and fatigue are common, but sufferers can be obese, eating their way "through the disorder." "Two-thirds to three-quarters of patients with Crohn's disease will require surgery at some point during their lives." The leading reason doctor's don't recommend marijuana Crohn's is that they fear reprisals from the Medical Community which is dictated by big pharma who wags the dog, which is the Fed-dog. 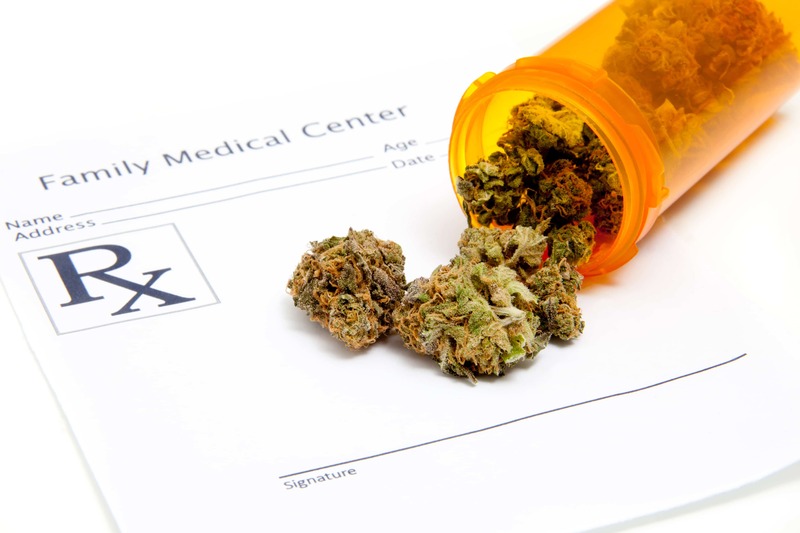 Thankfully, as medical cannabis use becomes commonplace, more and more physicians are comfortable recommending MMJ.. Furthermore, Marijuana is turning out to be anything but a gateway drug, rather it is an exit drug. Cannabis medicines are being substituted by patients for steroids and opiates; 'hard" drugs which come with serious side effects and have addictive, self-harming properties / tendencies. People new to medical marijuana don't know that non-psychoactive forms are now commonly recommended for Colitis, Crohn's and other immune system disorders. Dosing of Cannabis Based Medicines can be oral (a candy with 50mg cannabinoids), sublingual (3 drops of concentrate under the tongue), a patch, via suppository (which may be tricky but effective), or vaping; which is a safe way to inhale cannabinoids and easy to titrate (find the optimal dose). The need for surgery was reduced dramatically. Medical marijuana sometimes causes complete remission of Crohn’s symptoms; pain, inflammation, cramping and nausea. CB1 and CB2 receptor concentrations are high in the gut and respond to cannabis compounds. CBD reduces bowel musous - modulates pro-inflammatory substance - interleukin 17A. 291 Israeli patients found “cannabis use is common amongst patients with IBD for symptom relief." Eight weeks of THC-rich cannabis “produced significant clinical, steroid-free benefits to 10 of 11 patients with active Crohn’s disease, compared with placebo, without side effects. After 11 months of diarrhea and extreme stomach pain she was diagnosed with Crohn's. She had numerous other effects, skin ulcers and lumps on the legs, arms and elbows. Her joints were extremely inflamed and painful and walking was difficult and even impossible at times. The prescription drugs she took really didn't help much, if at all. She described her dreadful condition, coupled with her prescription drug side effects to be the darkest hour of her life. It seemed there was no cure and no hope. She was desperate and had to do something different; as adhering to the status quo meant to continue living this hellish existence until her departure from this world. Without knowing anything about marijuana, she found several studies online and decided to try cannabis on her own. The research suggested that daily oral doses of 60 mg CBD (does not get you high, is not a narcotic) was effective for many Crohn's and Colitis sufferers. A year after she thought she was cured, a colonoscopy was performed and the doctor said that her colon wall was completely restored without any traces of Crohn's. It was confirmed that she had not received any other Crohn's related treatment during cannabis therapy. 420Evaluationsonline: If you have Colitis or Crohn's and would like to access lab-tested medical marijuana, you're going to need a 420 evaluation from a licensed California Physician. We specialize in online Telemedical services; Doctor's Recommendations, ID-Cards, Grower's Permits and renewals. An operator is standing by now (7am - 11pm) to process your application. Remember, if you are not approved, there is no charge. Our documents are accepted by licensed delivery services, cannabis clubs, cooperatives and dispensaries within the State of California.